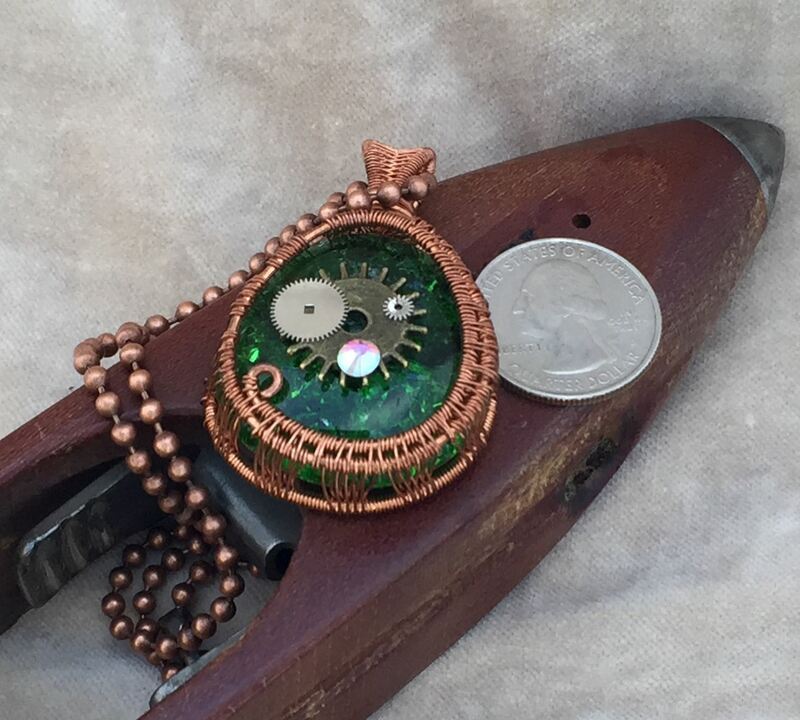 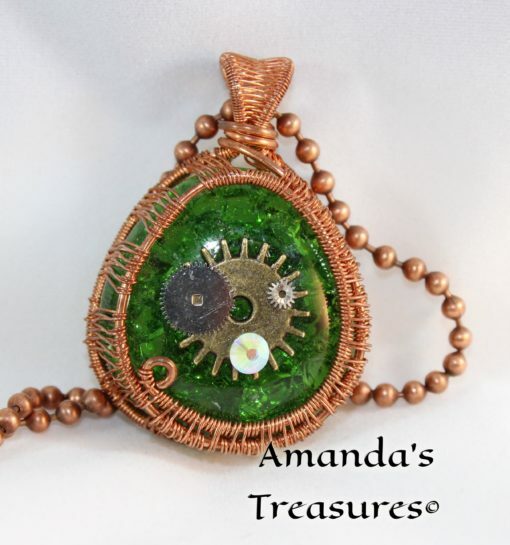 The color of Green Steam is a sparkling bottle green and includes one gear and watch parts and one iridescent jewel. 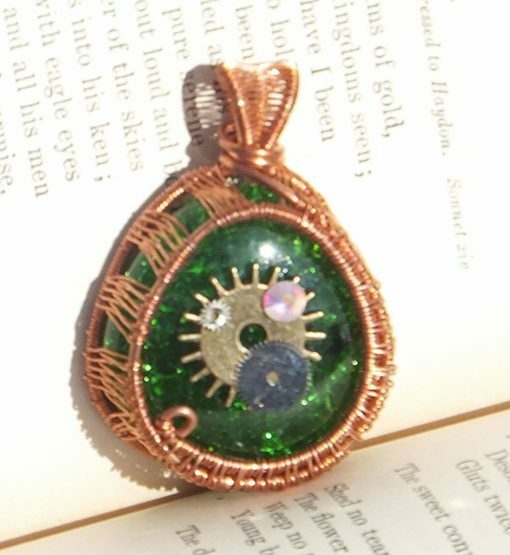 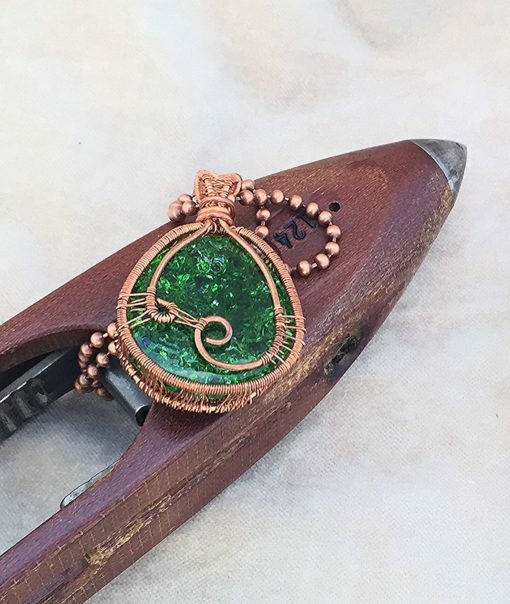 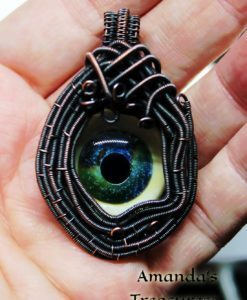 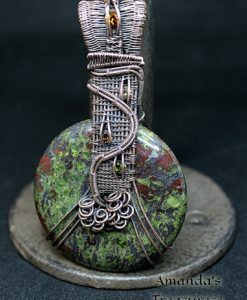 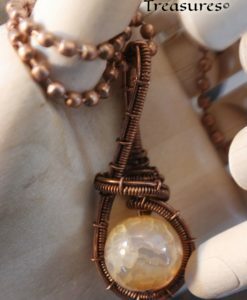 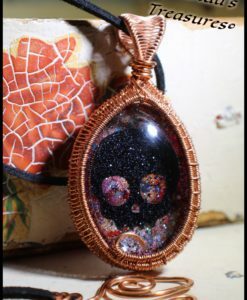 This piece really sparkles in the light and is entirely wrapped in copper wire. 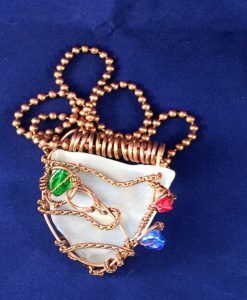 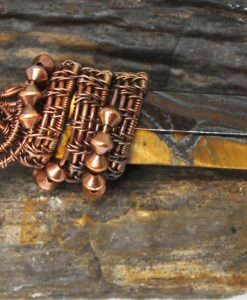 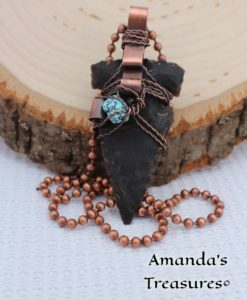 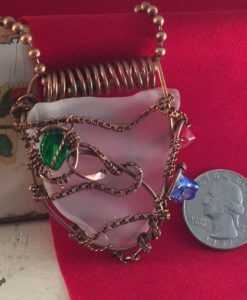 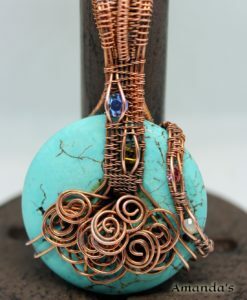 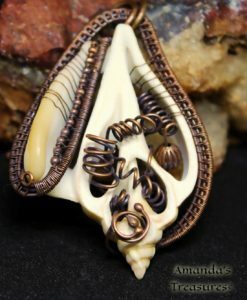 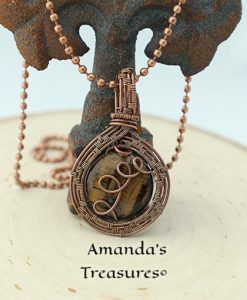 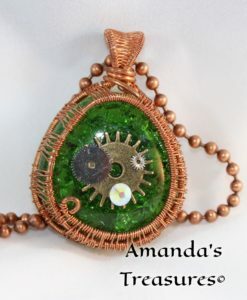 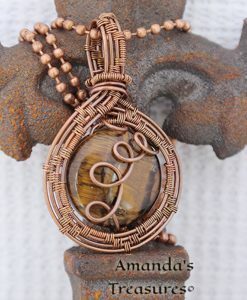 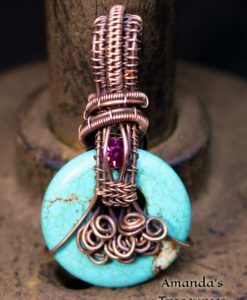 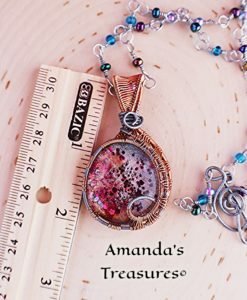 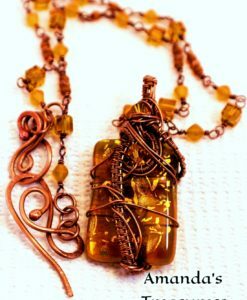 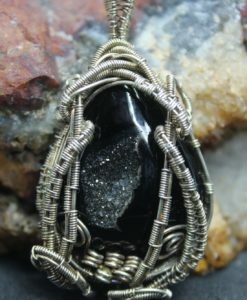 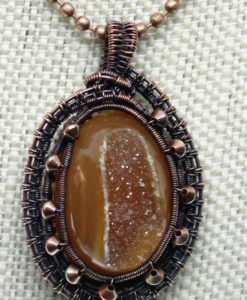 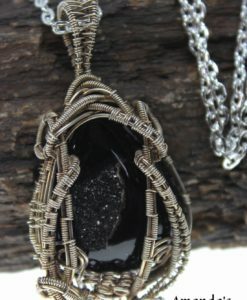 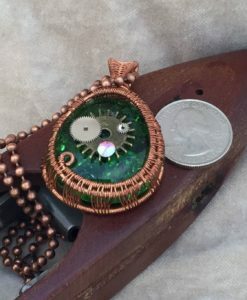 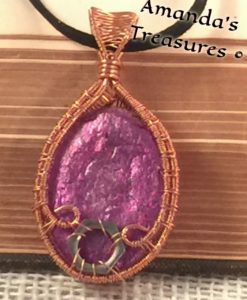 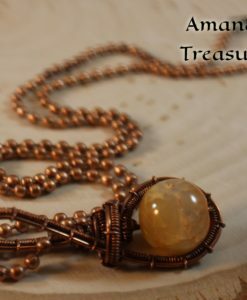 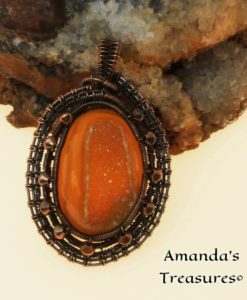 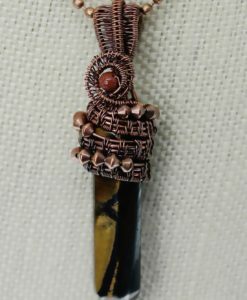 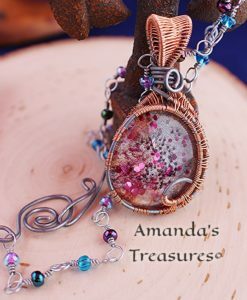 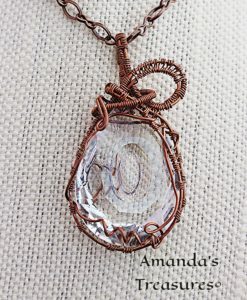 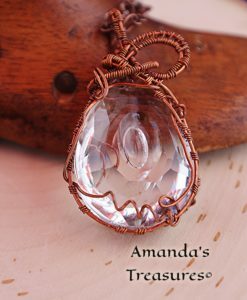 The woven portion of this design came from the first class I took on how to wire wrap taught by Dawn Horner, handmade with love and dedication by Amanda’s Treasures.